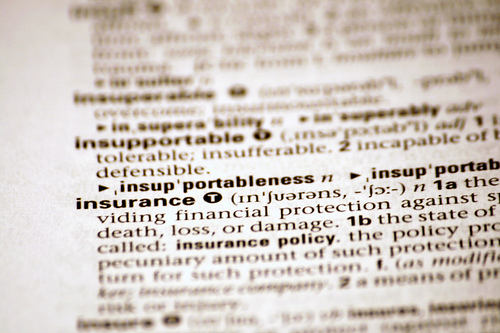 Low cost professional indemnity insurance – without the hassle! PeaceWise is delighted to make available to anyone who has completed our training up to Mediation Training the opportunity to take out low-cost professional indemnity insurance. We are doing this simply because we want to support the work of biblical peacemaking. So we wanted to support peacemakers in this very practical way, especially because many people may struggle to find the time and energy to get this kind of insurance for themselves. PeaceWise receives NO COMMISSION OR OTHER PAYMENT if you take out this insurance – that’s right, not a cent. But it involved our National Director, Bruce Burgess, spending nearly two years of intensive work with our brokers Marsh and the insurer Vero to get to the point where this insurance could be made available. What are the details of the insurance? You MUST read the summary of the insurance by clicking on the blue link below – it contains vital information about the insurance, how it works and what it covers. PeaceWise is NOT the insurer or the broker! For this reason, and under the Corporations Law, we cannot give you any advice in relation to this insurance or its suitability for you. The Marsh summary document explains why you might need professional indemnity insurance if you do peacemaking work. The broker is Marsh – and your contact there is Ms Holly Monrad – 02 8864 8356 and [email protected] . Marsh are the ones you should contact for more information about this insurance if you need it. The way this insurance works is that there is a single “master policy”, and by applying for and being accepted for this insurance and paying the relevant premium, you will enjoy the benefits of this “umbrella policy” of insurance by becoming a person insured under the master policy. PeaceWise’s only role in making this insurance available has been in working with Marsh and Vero to set up a tailored “master policy” insurance product which could be made available to you people who have done up to mediation level training. The policy has a “shared limit” (the insurance available for all the people it insures) of $4 million in total, and a maximum of $1 million for any one claim, and if you make a claim the excess (the amount you have to pay) is $1,000. The cover is worldwide except for the USA. What activities are covered by this insurance? Mediation, Adjudication, Arbitration, Dispute Resolution, Conflict Management, Facilitation, Community Engagement, Training, Coaching and Counselling, (also includes pre-mediation engagement, the actual mediation sessions, private sessions and drafting the settlement agreement with the parties). What is the period of the insurance? Normally it will run for one year from the time you take it out, and Marsh will advise you of the exact start and finish dates of your policy. Because it’s a shared “master policy”, the exact cost is affected by how many people take up the insurance – the more people, the lower the cost. But it is expected that the cost will be about $250-$300 per person per year plus statutory charges. Do I need to have done Advanced Mediation or Reconciling Marital Conflict training to be eligible? No – you only need to have fully completed Mediation training with PeaceWise (including any pre-requisite courses). What do I do next if I want to apply? After reading the summary document above, if you would like to proceed to apply for the insurance, please print off the declaration form below and send the completed form to Holly Monrad at Marsh. Just a reminder that the more people who sign up for the insurance, the more affordable it becomes for you (and everyone else) going forward – so please do consider taking it out.